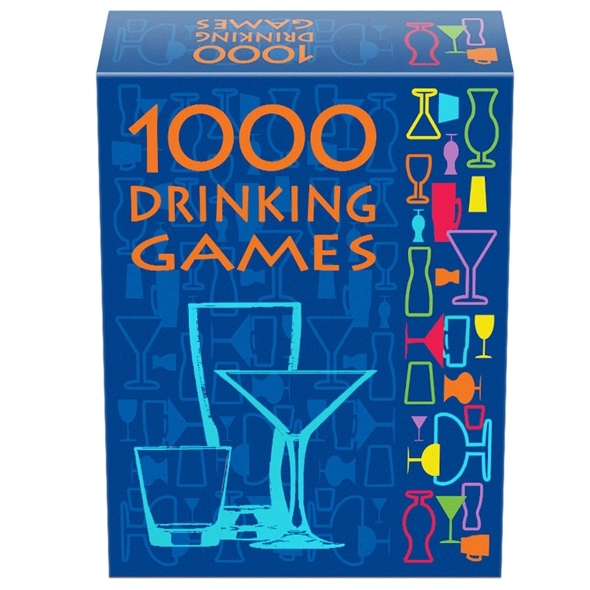 It's a thousand drinking games in one! No party is complete without a couple of drinking games, but it can sometimes be difficult to think of a decent game on the spot. Ring of Fire and Never Have I Ever have been done to death - what you need is a bit of drinkspiration! And that's exactly what Gadget Inspector can provide. 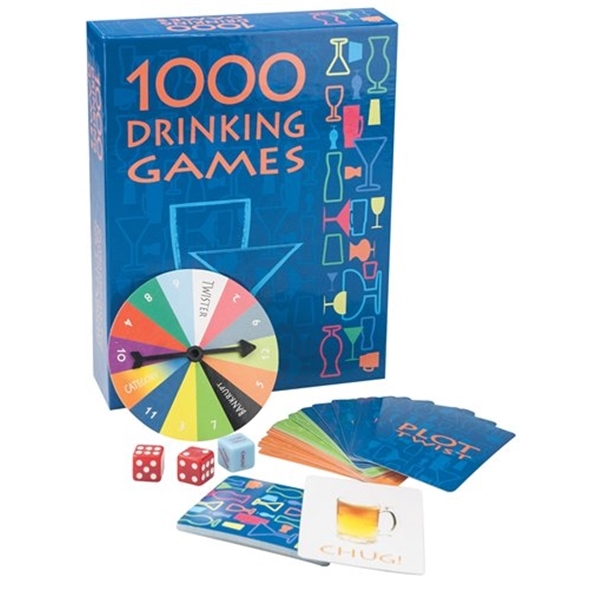 This 1000 Drinking Games set is exactly what it says on the tin: a THOUSAND different drinking game ideas in one sensibly-sized package! The box contains all the cards, dice and spinners you'll need - all you have to do is pour the beer and start playing! A great gift for burgeoning alcoholics! 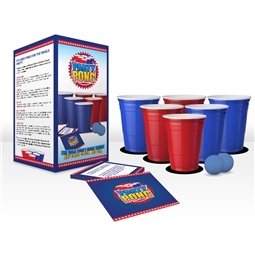 If your every evening is a wild party, this bumper-sized drinking game set will see you right for a good long while. It really does contain the ingredients for a thousand different games, so no matter what sort of mood you're in, there's bound to be a game for you! Believe it or not, this relatively modest smattering of items is enough to fuel hundreds and hundreds of different games - you'll never get sick of this set!